The desire for business users to consume and analyze data when they need it most can be challenging for any organization. Share dashboards & data. Collaborate with governance. 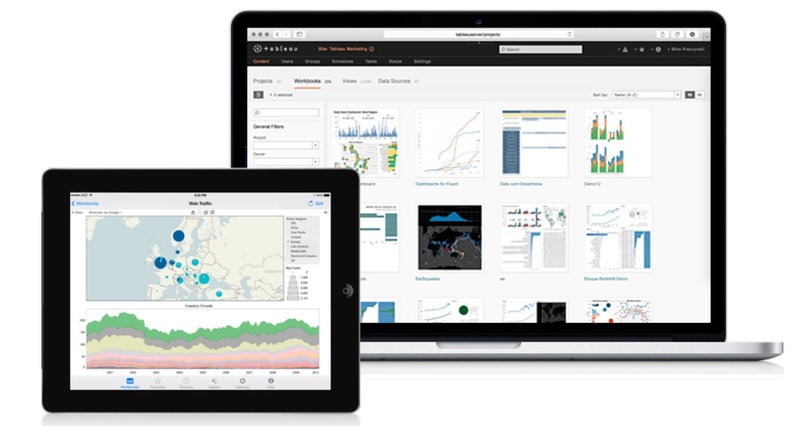 Use Tableau Mobile for data on the go. I can answer things within a business meeting at the speed we're going at now. Before Tableau, we were talking a day or two turnaround per question. Now I can sit with my laptop in a meeting and answer questions on 20 million rows of data basically on the fly. Without Tableau I think we'd be a lot less responsive. And I think, ultimately, we would be a lot less effective. Data allows us to build the best consumer experience, allows us to connect our partners to our consumers—and ultimately that results in audience development and revenue. The value of Tableau is that we're able to reach a really broad audience with a lot of information that we just couldn't do otherwise without an extremely large team. We were able to create a report in four hours using Tableau. It used to take a whole week in Excel.